How is the Hindu Almanac structured? The Hindu Almanac (Panchang) is based on tithi (lunar day).According to it, a month is divided into two fortnights (Pandhravada).The fortnight from full moon day(Poornima) to new moon day (Amavasya), is called as Krushna Paksh and the other fortnight, that is, from Amavasya to Poornima is called as Shukla Paksh. The first day of the Paksh is called Pratipada and the fourteenth day is referred to as Chaturdashi. The fifteenth day is either Amavasya or Poornima. It was when British started ruling Bharat (India), that Bharatiyas (Indians) got introduced to the Western Calendar.The British started using this calendar in Bharat for administrative purposes for their convenience. Later, the British spread their rule all over Bharat, and promoted the English education system. Hence, Western calendar was used throughout Bharat for all administrative purposes by the British government. The educated 19th century generation of Bharat, which was influenced by English education further increased the usage of the Western calendar. The calendrical calculation based on tithi is the most ancient method of calendrical calculation. All other types of calendars came into existence later on. Hindu culture is Vedic, that is, it is established by God himself and not by any human being; hence it is purely scientific and complete in every aspect. It is divine and thus brings about the well-being of a person in every aspect. The Christian new year begins from 1 January, Financial new year from April, Commercial year from Kartik Shudh Pratipada (1st day of the month of Kartik) and the educational year begins from June. Also, the solar year (Saur varsha), lunar year (Chandra varsha) and the Lunisolar year(Saurchandravarsha) also have different commencements. Such are the various New year days. However, one thing is common in all of them; that is, all of them are 12 months long. There are many types of calendars in the world and also different beginnings of years. But all of them have one year divided in 12 months. Do you know who first perceived that a year should contain 12 months and it was accepted by the world? The most ancient reference to this is seen in the Vedas. A verse in Vedas says,”DwadshamasehSamvatsarah”, meaning, ‘A year contains 12 months’. 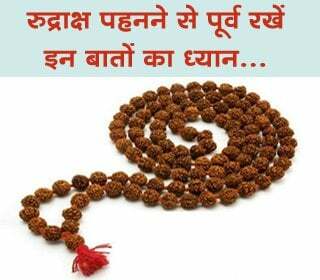 Vedas told it and the world adopted it!. Birthdays andanniversaries should be celebrated as per their tithi. It is so because, on that particular tithi, the frequencies which match the frequencies of that person are present in the atmosphere and the person is benefited by them spiritually. From this, the importance of doing everything as per tithi is realised. The Hindu festivals are celebrated on a specific tithi every year. On that particular tithi, the frequencies related to the particular Deity of the festival enter the earth’s atmosphere. The Deity principle appears on a large scale in the atmosphere in form of waves during that particular period only.Whosoever celebrates the festival according to Dharma and with sincere devotion is benefited by these waves and acquires Chaitanya (Divine consciousness). Feel proud of the supreme Hindu Culture! After reading the aforementioned science about tithi, it can be understood how scientifically, with a deep insight and study, the Hindu calendar is designed. After knowing this, which Bharatiya will not feel proud of his Dharma? O Hindus, the English calendar which we are using now is only two thousand and fourteen years old, whereas the Hindu Panchang, descending from the Vedic period is One Arab Ninety five crores Fifty eight lakhs Eighty five thousand One hundred and ten years old. From this, the greatness of the ancient Hindu sages, who structured the panchang can be seen. 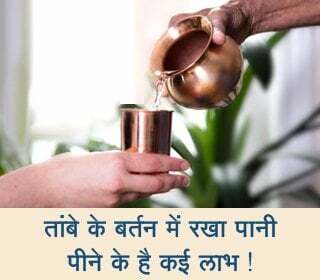 Do this to preserve our rich culture! 1.Celebrate your birthday as per tithi. 2. Celebrate the birth and death anniversaries of National heroes as per tithi and encourage others to do the same. 3. Celebrate our independence and republic days as per tithi. 4. Celebrate New year on Gudhi padwa, not on 1st January.